Oscars 2015: The Biggest Snubs - Which one upset آپ the most? Who would آپ consider مزید as the 'Oscar Queen'? Fanpop: First of all, congratulations, the team has received six Oscar nominations for “Bridge of Spies”, and we absolutely loved the film. Truth is often مزید dramatic than fiction, and this had us on edge. How important was it for your team to present it accurately? It’s not a documentary, but how important was accuracy for your team? The Revenant, directed سے طرف کی Alejandro G. Iñárritu has received 12 Oscar nominations this year, including one for the Best Picture. It has been partially adapted from the novel 'The Revenant' which in turn is based on the experiences of frontiersman Hugh Glass in the early 1800s. The Martian, directed سے طرف کی Ridley Scott has received 7 Oscar nominations this سال including one for the Best Picture. It has been adapted from the novel 'The Martian' سے طرف کی Andy میڑ, ویئر and is set in the future when humans finally land on the planet Mars. The Big Short, directed سے طرف کی Adam McKay has received 5 Oscar nominations this سال including one for the Best Picture. It is based on the novel 'The Big Short: Inside the Doomsday Machine' سے طرف کی Michael Lewis which is based on the deep financial crisis caused سے طرف کی the housing market and credit bubble in the USA. Spotlight, directed سے طرف کی Tom McCarthy has received 6 Oscar nominations this year, including one for the Best Picture. It is based on a true story where a team of journalists investigate the widespread sexual abuse of children سے طرف کی numerous Roman Catholic priests. Room, directed سے طرف کی Lenny Abrahamson has received 4 Oscar nominations this year, including one for the Best Picture. It has been adapted from the novel 'Room' سے طرف کی Emma Donoghue where a young woman and child after being in captivity for several years, finally escape. Mad Max: Fury Road, directed سے طرف کی George Miller has received 10 Oscar nominations this سال including one for the Best Picture. This film is the fourth instalment in the Mad Max franchise and is set in a post-apocalyptic world where vital resources are a scarcity. Brooklyn, directed سے طرف کی John Crowley has received 3 Oscar nominations this year, including one for the Best Picture. It has been adapted from the novel 'Brooklyn' سے طرف کی Colm Tóibín where a young Irish woman immigrates to Brooklyn and finds love. Bridge of Spies, directed سے طرف کی Steven Spielberg has received 6 Oscar nominations this year, including one for the Best Picture. It is based on the 1960 U-2 incident during the Cold War. When Francis Gary Powers, an American pilot is captured سے طرف کی Russians after his U-2 spy plane is shot down, an insurance lawyer from New York named James Donovan is sent to negotiate with the Soviets. The dangerous negotiations involved the release of Powers in exchange for Rudolf Abel, a Soviet KGB spy who was then under the custody of the USA. 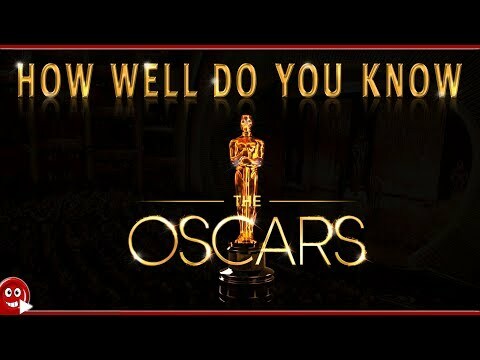 What famous entertainer refused an Oscar (and in what year) due to political reasons? Vanessa Redgrave, Best Actress, in 1978 for "Julia. Marlon Brando, Best Actor, in 1973 for "The Godfather"
Michael Moore, Best Documentary, in 2003 for "Farenheit 911". George C. Scott, Best Actor, in 1971 for "Patton".